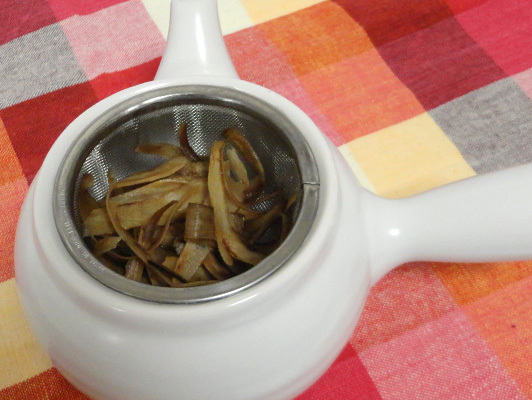 Making burdock root tea is easy. Here is what you are going to need and how you are going to do it. Easily prepared side dishes that can be made using leftover burdock root. 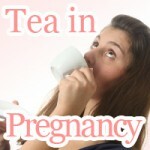 Burdock root tea gives you anti-aging. 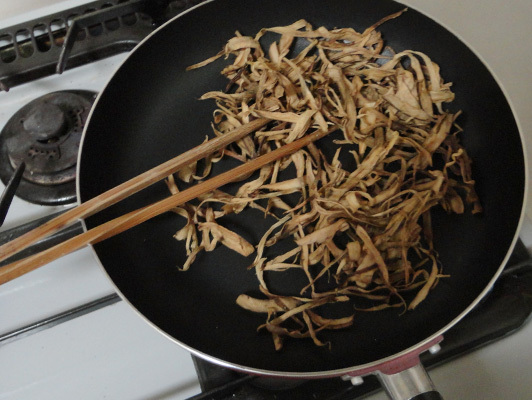 Called "Gobo-cha" in Japan, burdock root uses are not limited to making tea. 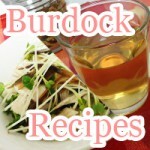 You will find burdock root recipes helpful in cooking. Add gobo root to your diet and appreciate the benefits of burdock root in less than 20 minutes. 1. 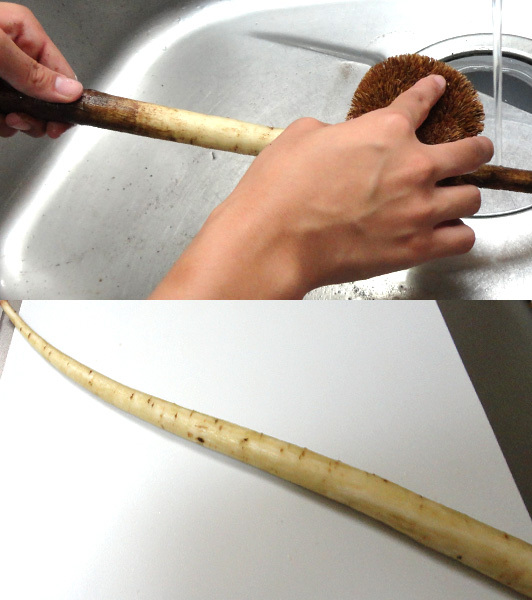 Wash burdock root with a brush or scrape with the back of a knife. 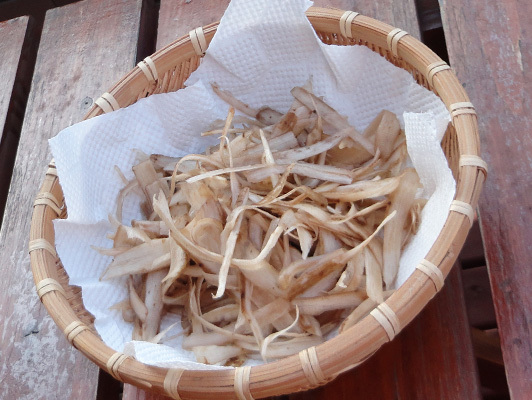 (Precaution) For people used to cooking burdock root, you may be inclined to peel its skin. Unpeeled burdock root makes better tea because of the fragrance and flavor contains in the layers closest to the skin of burdock root. 2. 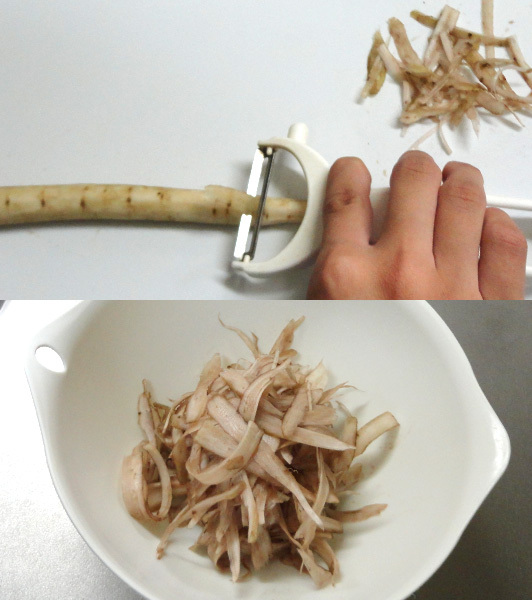 Cut burdock root into thin, long shavings. Using a peeler may help you shave off some preparation time. (Precaution) If you've ever used burdock root in cooking you would be familiar with removing its astringent taste by letting it soak in vinegar water. However, there will be no removal of astringent taste for burdock root intended to be used to make tea. 3. Leave out to dry (preferably exposed to the sun). Although it very much depends on the surrounding environment, you can expect it to take at least half a day before fully dried. If you don't have a place to dry them, want to make right away, or the weather is just not right today, use a microwave. Microwaving helps drive out water content stuck inside burdock root. Place on a sheet of cooking paper. Set the timer to 6-7 minutes at 600W.When using a microwave to dry burdock root, be sure to keep an eye on it during heating to avoid microwaving for too long. 4. Place in a fry pan and apply heat until parched dry. You will start to notice its color changing. On low heat, it should take around 10 minutes. (Precaution) Overcooking may result in burning your burdock root. Burnt burdock root doesn't taste as good in tea. It is best to keep the burner on low to prevent overcooking. 5. Add burdock root tea to tea pot and start brewing. After 2-3 minutes it should be ready to drink. To make burdock root tea you will only need a pinch. 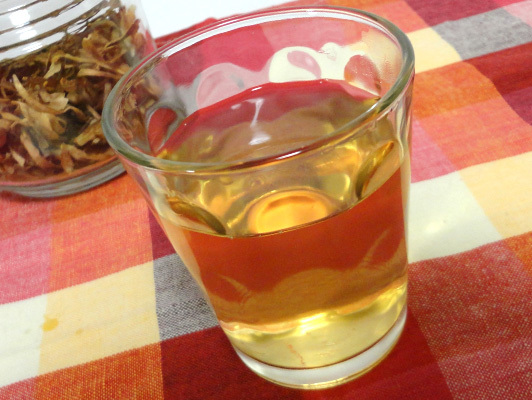 Now that you managed to make burdock root tea from scratch, you are probably wonder, "What can I do with what's leftover?" 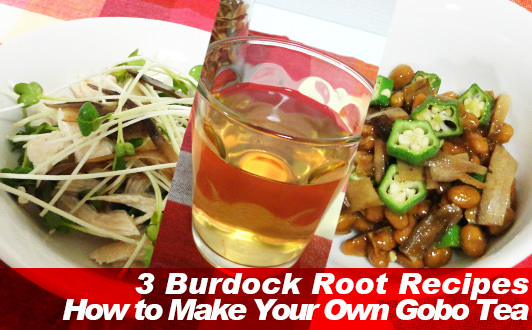 As it turns out, there are all kinds of burdock rot uses in cooking that you are going to want to give a try after starting to drink burdock root tea. It might not be a lot but simply throwing away the burdock root you labored through to make tea would be a waste, don't you think? 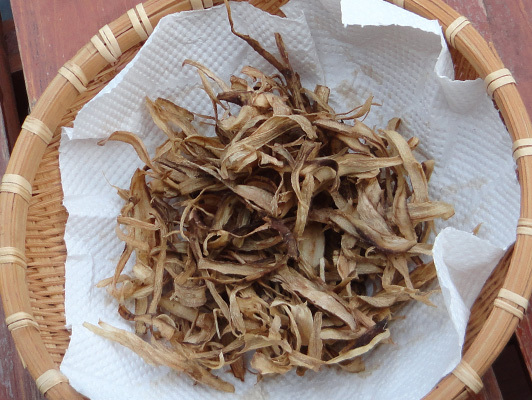 Although you might not be able to feed a family of the scraps of burdock root leftover after drinking tea, using these scraping in cooking brings diversity to your diet. 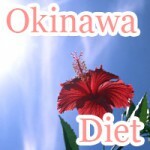 Natto (fermented soybeans), okra, and burdock root are all foods high in fiber. 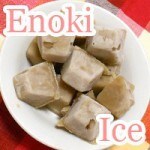 Here is a simple recipe containing all of them. Adding natto and okra to burdock root adds texture that makes eating more enjoyable. 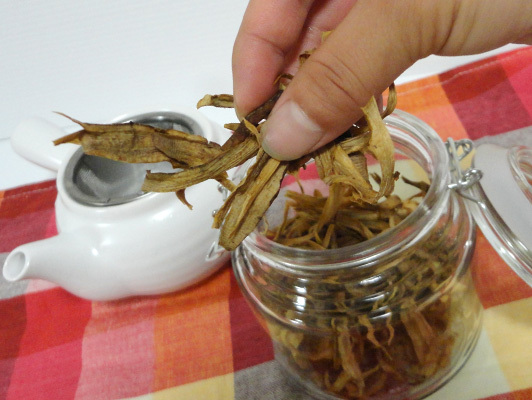 Cut burdock root tea (gobo strips) into 1 cm segments. 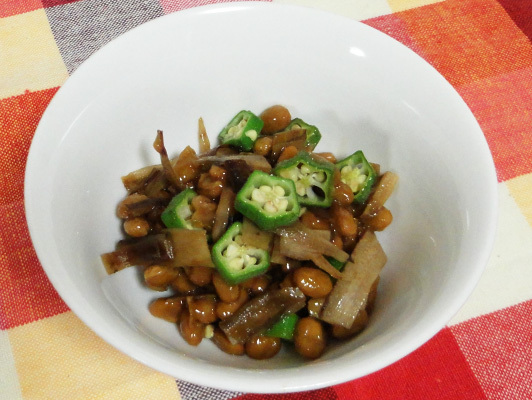 Mix natto with soy sauce (and mustard if needed). Remove the stem from okra and apply salt. Boil briefly and then place in cold water. Remove water content from okra of step 3 and cut into appropriate sized pieces. Add burdock root and natto to okra and mix thoroughly. 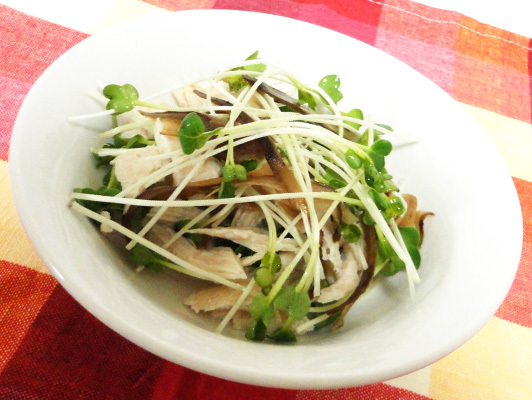 Here is a salad you can make using leftover burdock root tea. Place lightly salted chicken breast in a heat resistant platter. Pour in a little sake. Wrap and microwave for 3 minutes on 500W. Leave wrap as is after removing form the microwave. Let sprouts sit in water. Add other ingredients to chicken breast of step on after cooling. Pour on dressing and eat.